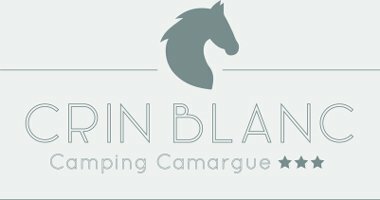 The campsite Crin Blanc welcomes you in an exceptional and protected environment in the heart of the regional park of Camargue. We have 167 sites spread over an area of ​​6 hectares, between horses and bulls or a sense of well being reigns. Come and discover the Camargue culture and traditions (traditional festivals, regional specialties) in this unspoiled nature where extraordinary landscapes and colors have, in the past, captured the attention of famous people such as Van Gogh or Daudet. Ideally located, you can within a radius of 50 km, from the interior of the Provencal lands to the beaches of the Mediterranean coast, discover remarkable sites such as the Pont du Gard, Les Baux and Saint Remy de Provence, Les Saintes Maries de la Mer, Aigues Mortes or the city of Arles whose Roman ruins are classified as World Heritage by UNESCO. You will be able to practice many activities, such as horse riding, cycling, hiking and water sports. 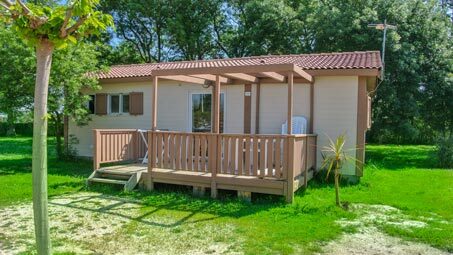 Less than 15 kilometers from the city of Arles and just thirty minutes from Saintes-Maries-de-la-Mer, camping Crin Blanc welcomes you to an exceptional site, an integral part of the Regional Natural Park of Camargue. On site you expect green and spacious plots, unusual locations with private arbors, and rental accommodations of high quality. 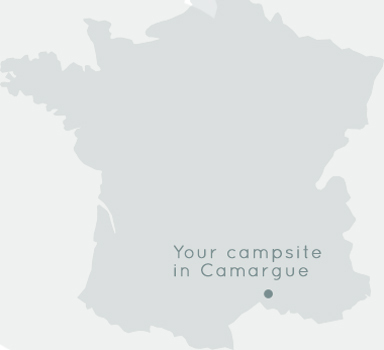 Many services embellish your stay: 3-star campsite, Crin Blanc campsite offers a bar-restaurant and a grocery store, playgrounds and sports fields, wifi on the entire site, as well as many services. loan and rental (tv, refrigerators, sheets). A remarkable aquatic area opens its doors every day from April: its two pools, its swimming lane, its giant slide, its paddling pool and its wide beach equipped with deckchairs are the happiness of the whole family. 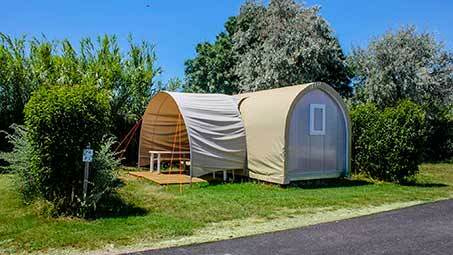 Many activities can be practiced on the site of camping Crin Blanc and in the immediate surroundings. The summer months are particularly lively, with the kids’ club, the sports tournaments, the aquatic activities and the themed evenings. 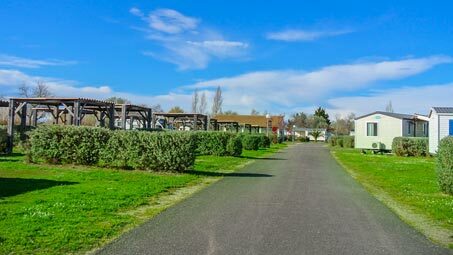 A few hundred meters from the campsite, manades and equestrian centers offer carriage rides and horseback riding in the heart of the Camargue.